You don't need to scour the internet for the best Thanksgiving dessert recipes this year. 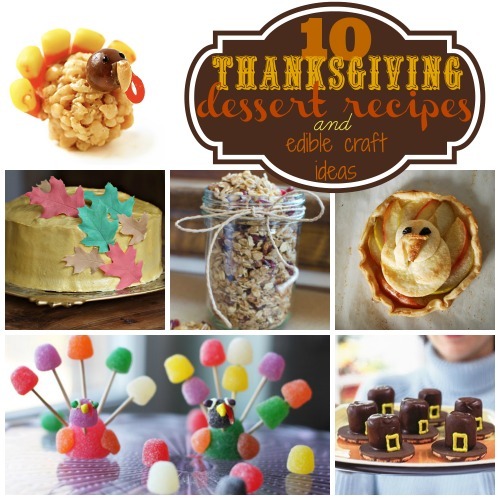 Here is a collection of 10 Thanksgiving Dessert Recipes and Edible Craft Ideas will give you plenty of delicious ideas. After all the turkey and stuffing, a little sweet treat is always appreciated, so make sure you have plenty of these yummy desserts ready to serve. Friends and family will rave over everything, and will want you to share the recipes. Keeping the kids out from underfoot on such a busy day can often be a chore in itself. 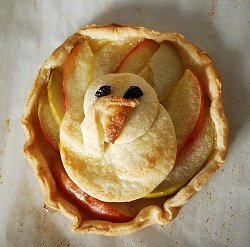 If you're looking for fun Thanksgiving crafts for the table, you should have them whip up some of these sweet treats. 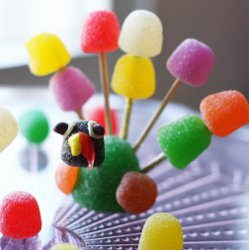 Not only will they be occupied, but they will be having fun while creating some of these fun edible Thanksgiving crafts ideas. Consider using some of the treats they make to decorate the center of the Thanksgiving table this year, too. The kids will delight in seeing their handiwork being used in such an important way. From turkey crafts to pumpkin patterns, our 8 Thanksgiving Crafts for the Home free eBook is the perfect way to add a touch of the season to your Thanksgiving Day table spread. This year, get the kids involved with the Thanksgiving dinner preparations and give them permission to play with their food. This collection of fun edible Thanksgiving crafts will keep them entertained while you are cooking the big meal. Not only will they will have fun making them, but they will also be proud to serve them to the family for dessert. Even those who don't have a sweet tooth can appreciate these cute edible crafts! Kids of all ages will love these fun edible craft ideas, so let them make them all. After the days of planning and prepping for the big Thanksgiving meal, the last thing you want to think about is what to make for dessert. Check out this collection of our best Thanksgiving dessert recipes and make something beyond the tradition pumpkin pie. Try something new this year. Those same old Thanksgiving recipes are not nearly as fun. These desserts are so delicious and festive that you might have to make extras for everyone to take home. From apple, to lemon, to pumpkin, there are recipes here for everyone to enjoy. Don't forget to decorate that table for the big feast! If you need some inspiration, check out our collection of 16 Thanksgiving Decorating Ideas, Pumpkin Patterns, and More. This list has plenty Thanksgiving centerpiece ideas to make your table extra festive.